By focusing on a positive youth development (PYD) approach to connect with rural Tanzanian young people and their communities, Advancing Youth empowers youth to reach their potential. Advancing Youth’s PYD methodology focuses on delivering training and mentoring around three “Ls”: Livelihoods, Leadership, and Life Skills. 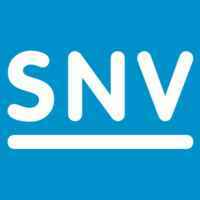 SNV Tanzania seeks a full-time Workforce Readiness Specialist to help implement the AY program. The Workforce Readiness Specialist reports to the Entrepreneurship and Workforce Development (WFD) Specialist, who oversees the implementation of livelihood component. Under the guidance of the Entrepreneurship and WFD Specialist, the Deputy Chief of Party, and ultimately the Chief of Party, the Workforce Readiness Specialist is responsible for providing guidance to grantees to support youth with appropriate business and life skills trainings, assist with business plan and other specific trainings, mentorship, coaching and matching for young entrepreneurs, facilitate linkages to BDS and finance providers as well as to other value chain actors. The Workforce Readiness Specialist’s specific responsibilities will be carried out in consultation and/or collaboration with other team members and stakeholders as needed. They may change as project needs are defined during the contract period. Assist in the identification of business coach mentors from the private sector and provide linkages between youths and mentors in Zanzibar. Help identify and capacitate Youth Saving and Lending Associations (YSLAs) for skill, workforce, and entrepreneurship development and help foster the creation of new YSLAs to help young people build financial and entrepreneurial capabilities. Assist in the planning and implementation of youth business start-up weekends, entrepreneurship bootcamps, hackthons and other events as needed. Drafting the components weekly updates, monthly and quartery reports. Training and Readiness Skills: This includes identifying market demands, assessing youth skill levels to identify gaps, and designing and tailoring curricula to close gaps. Business Management Skills: This may include advice on general business management, legal issues, supply-chain management, e-commerce take-up and the use of information technology. Basic Financial Management Skills: This may include advice on accounting practices, cash flow, and guidance on available banking and finance products, credit management, and investment analysis. Business Planning Advice: This may include a diagnostic assessment of business plans, followed by business planning advice that meets their needs incorporating things such as business continuity and marketing plans. Mentoring and Networking for Business: This may include one-on-one, group sessions and networking opportunities for unemployed youths, entrepreneurs, or other related enterprises. General Business Advice: This may include providing advice and tailored knowledge to businesses, including recommendations about government programs and regulatory compliance. Entrepreneurship: Knowledgeable about Non-financial Business Development Services (BDS), small business finance, entrepreneurship, marketing, scaling up small ventures, and other related topics. -Aspiring for good service delivery with strong people centred skills, interpersonal skills, committed, proactive and dynamic. -Professional level English and Swahili proficiency, Verbal and Written. -Experience working with youth and young entrepreneurs is strongly preferred. -Knowledge of and prior work experience in Zanzibar highly desired. Submit your Cover Letter, CV and Salary History on or before 15th February 2019. if you wish to be considered for this position. All information will be in the strictest confidence. Only shortlisted candidates will be contacted.